Access to all levels of play. State-of-the-art curriculum for our players. Leverage buying power, sponsorships and size to provide the best value for our members. Each player will have a balanced and fulfilling experience regardless of the level of play. Players and staff will make friendships that will last a lifetime. We are excited to present our evaluation and tryout information for 2019! The information below will be updated frequently as we approach tryouts in May - please check back frequently for changes and updates! We have seven geographic regions within Charlotte Soccer Academy. When registering for tryouts, please be sure to select the appropriate region. Although we may request that players change regions following tryouts, please register for tryouts in the region that is your first choice. CSA expanded to the Uptown area in Fall 2019 and will be holding evaluations and tryouts for 9U through 15U boys and girls. Locations used for practice and home games may include Randolph Middle School, Charlotte Preparatory School, McClintock Middle School and Sharon Elementary School. Based in the Lake Wylie/Steele Creek area, CSA-Palisades will hold evaluations and tryouts for 9U through 15U boys and girls. Teams will practice and play home games at The Palisades (14600 Grand Palisades Parkway, Charlotte). CSA is serving our South Carolina residents with the CSA-Palmetto section, which will form teams for boys and girls in age groups 15U - 19U. These teams will participate in the SCYSA leagues for the 2019-2020 season. Teams will practice and play home games at The Palisades (14600 Grand Palisades Parkway, Charlotte). CSA expanded to the Huntersville & Lake Norman areas in the 2016-2017 season. Teams will practice and play games at local Huntersville fields and the Strikers Soccer Center (Alexandriana Rd, Huntersville). Read more about CSA-Huntersville by clicking here. CSA-North teams will practice and play home games at the Red Ventures Complex near the Davidson Road (NC 73) exit of I-85 and/or Frank Liske Park. Teams will occasionally utilize Harrisburg Park fields for practice. Read more about CSA-North by clicking here. These teams will be based at Colonel Beatty Park, just south of the town of Matthews adjacent to the Union County border. Teams will practice at Colonel Beatty Park and Hellenic Park. Teams will also utilize Davie Park and the Mecklenburg County Sportsplex located in Matthews. Read more about CSA-Matthews by clicking here. This is our largest division. These teams will be based at locations throughout the south Charlotte area, including CPI Fields at Flat Branch Park (Polo Ridge ES), William R. Davie Park, Jay M Robinson Middle Shool and our new facility in Pineville, the OrthoCarolina Sportsplex. This is our largest division. Read more about CSA-Charlotte by clicking here. Please note: Teams for each region will be selected from the tryout registrations for that region! You must attend tryouts for the region where you wish to play on a team. CSA will be holding Identification Sessions for our national programs during March and April. Please use these links to find more information. 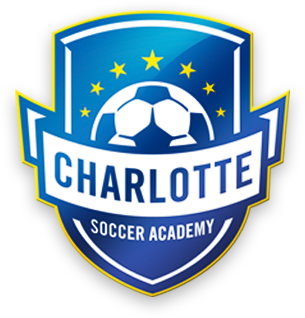 CSA will host opportunities for families interested in Charlotte Soccer Academy to meet staff for the 2019-2020 season and gather important information regarding the club and tryouts for the upcoming season. Meetings are available for all ages and levels of competitive play. We strongly recommend attending your age group meeting, especially if you are new to CSA or this will be your first competitive team experience. Director and Club Structure Diagram Coming Soon! UPDATED: 4-17-19 Please check schedules carefully and verify prior to tryouts. Goalkeeper Note: All prospective goalkeepers will register and report to their respective birth year tryout session as posted above. Refer to the schedules for tryout locations and click here for details on our venue locations. In the case of inclement weather, please check the weather hotline at 704-708-4033 for the most up-to-date information concerning cancellations or delays. We will also post the info to our website. We need a large number of volunteers to make tryouts run smoothly! If you would like to help out, please be sure to indicate that during the tryout registration process. The fee for tryouts is $35 if preregistered and paid online prior to the registration close date. Walkup registration will be available at the field on each night of tryouts for $50. Register online to avoid the extra fees! Note: Your player will be restricted to registering for their correct age group. Do not alter your child's date of birth during registration. Requests to attend a tryout session for an older age group must be approved by the appropriate DOC. Upon approval by the DOC, your child's registration will be transferred and you will be notified by email. Please contact your DOC regarding play-up requests. Registration for CSA-Palmetto (15U-19U Boys and Girls) Tryouts will available soon on the CSA-Palmetto website, please click below to re-direct. For general registration or event questions, please email us at [email protected]. For program questions, please contact the appropriate Director of Coaching.